The work of Alexey Bobylev is an embodiment of the art of painting in the full sense of the word, for his paintings are literally alive, breathe with life, render the energy and an incredibly life-loving spirit of the artist. So bright and full-blooded as his paintings were the destiny and creative life of the master, illuminated by a sequence of brilliant achievements. 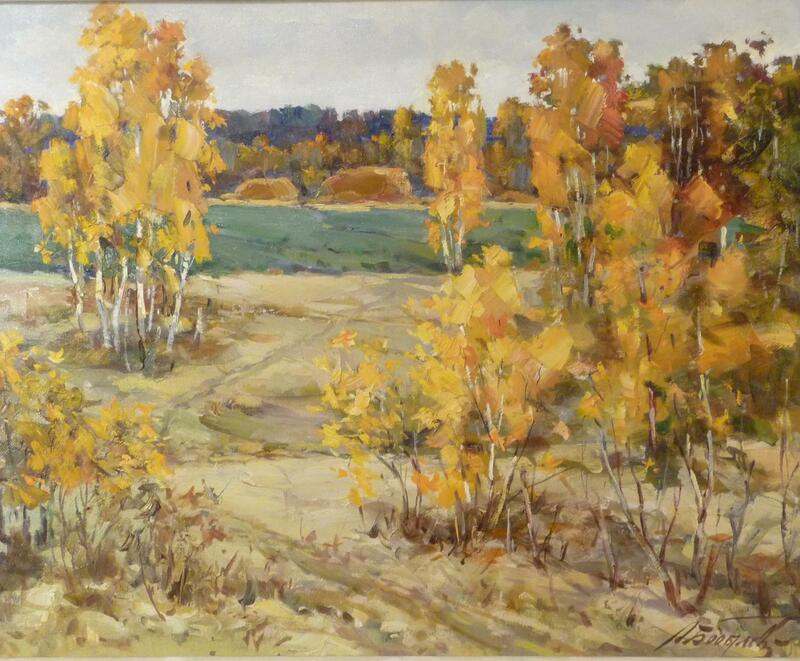 The future artist was born in 1927 in a Cossack village in the South of Russia. He discovered a talent for drawing in his early years, however the time when art occupied the principal place in his life had been preceded by labor at a metallurgy plant, work as a shepherd and a tamer of wild horses, fighting in a partisan group during the war, passion for music. 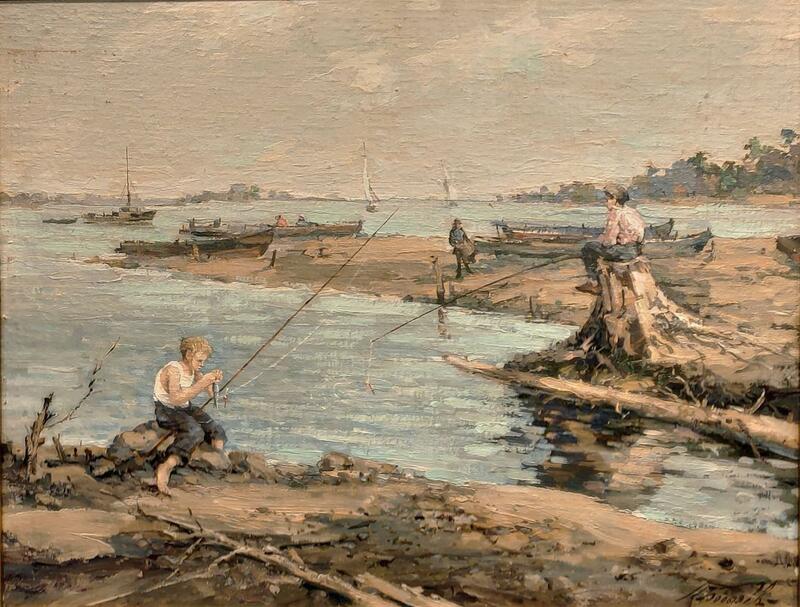 Eventually the desire of becoming an artist prevailed and after finishing an art school led Bobilev to Leningrad, to the Repin Institute of Painting, Sculpture and Architecture (widely known as the Academy of Fine Art) from which he successfully graduated with the silver medal in 1956. After graduating from the institute Bobilev devoted his life to restoration of unique monuments of the past working as an artist-restorer at some special workshops including the one in the State Hermitage Museum. During the many years of his work the master acquired the highest qualification and a reputation of one of the leading artist-restorers of St. Petersburg and the whole Russia. The list of the 64 monuments restored by him is so impressive and extensive that it would be sufficient to mention just the most significant objects such as the paintings in the cupola of the Cathedral of Our Lady of Kazan; Painting and Sculpture rooms in the Catherine Palace; the Tobogganning Hill pavilion in Lomonosov; the Stroganov, Yusupov and Yelaghin palaces in St. Petersburg; quite a number of state and ceremonial stair-cases in the Winter Palace. Restoration of any such an object is a complex task (historic and archaeological research, restoration of every detail composing an interior including murals and ceiling painting, paintings decorating the walls, furniture, fabrics). Solving this task requires a specialist a high professionalism, thorough knowledge of technique and technology of restoration and conservation of works of art as well as sort of artistic universalism. Alexey Bobilev possesses all these qualities. He reached perfection in techniques of fresco, oil and tempera painting, watercolor, pastel and miniature, painting on porcelain, textile, and wood. But an artist-restorer does not mean only a good craftsman. He must be an excellent draftsman, know perfectly laws of composition and perspective as well as characteristic futures of all main artistic schools of the past and hand of a particular artist. All this is necessary for filling in the lost fragments of original painting. At present Alexei Bobilev is wholly devoted to easel painting. 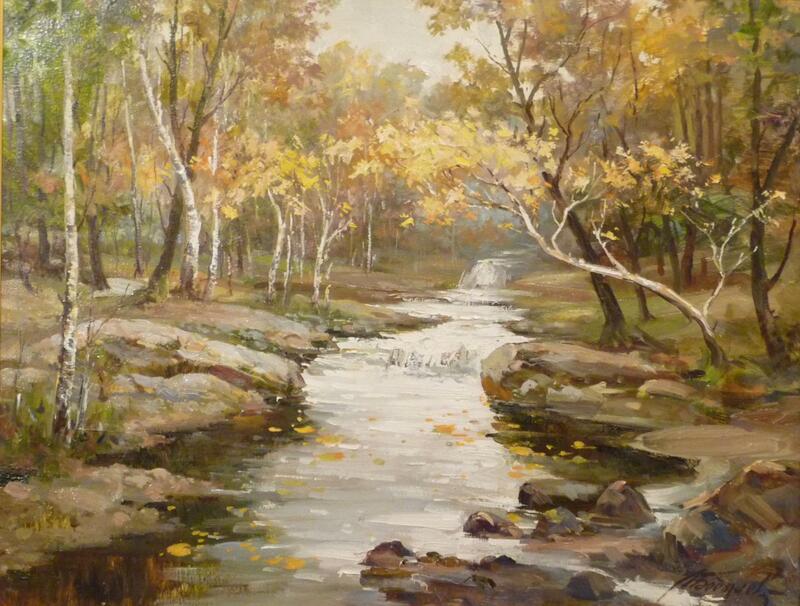 The high skill of an artist combined with boundless fantasy and desire to work lead him to a dazzling result. His canvases painted freely and with temperament are notably different from one another in style each time leaving us surprised by width and versatility of the artist's gift. In his own words, there is nothing more boring than paintings of an artist working in one manner, repeating himself using the same device all the time. 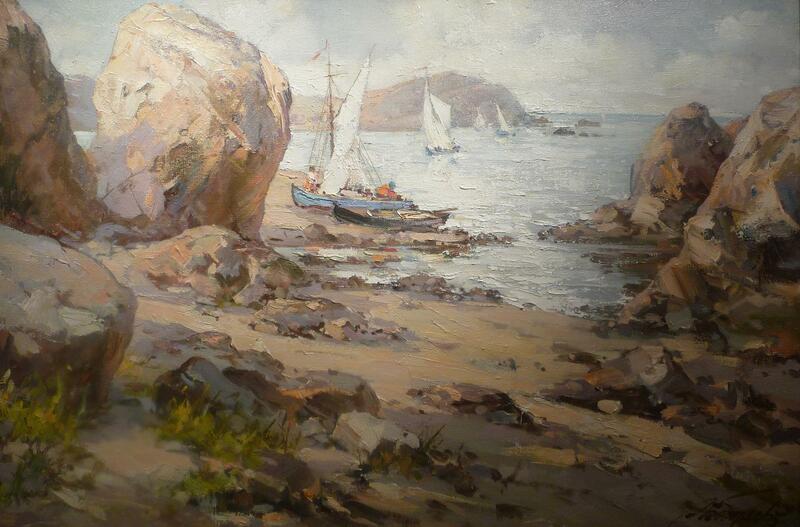 But however different Bobylev's paintings may be, there is one principal quality unifying them. 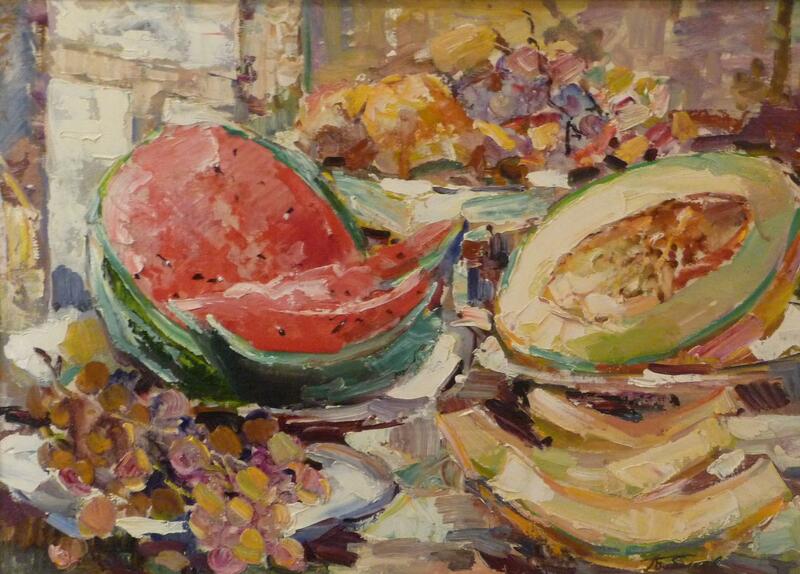 At the exhibition of Bobylev's works one gets a feeling of being in the realm of colour. It is colour though variously treated (delicately nuanced in mid-Russian landscapes; pure, impressionistically bright and airy in seascapes and still-lives with flowers; saturated and sonorous in southern landscapes; bright, cheerful and rich in still-lives with fruit) that is the main subject of the artist's paintings. They present a sensation of spontaneous and easy execution. The artist remarks that he can carry in mind the idea of one painting for a long time and then paint italla prima, in one breath, creating a lively, mobile image arising as a respond to a momentary, direct impression. 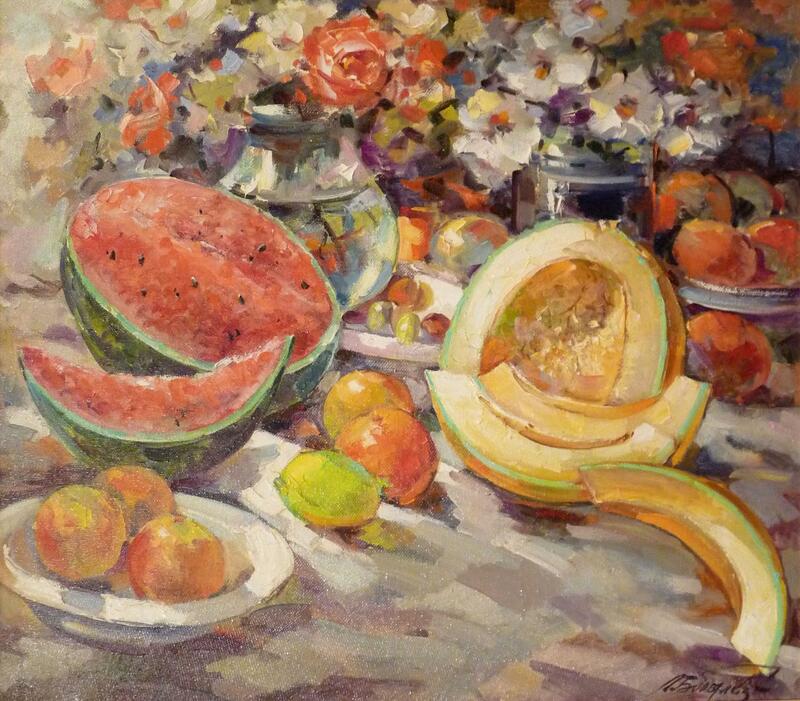 It is obvious that the main destination of Alexey Bobylev's painting is to give people light, joy and beauty.